Sightseeing as per given itinerary. Kasol and Malana is very beautiful places in Himachal Pradesh. all pickup, drop, sightseeing, guide as per itinerary. camping facility in malana village. all toll tax, parking, driver allowances etc. 4 breakfast and 4 dinner in hotel. 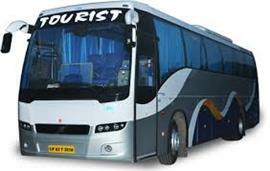 All sightseeing pickup drop and transfer as per given itinerary by 1 AC innova. All driver allowances, toll tax, parking included. Jim Corbett Trip, weekend in Corbett, Corbett Fun Resort in Jim Corbett. 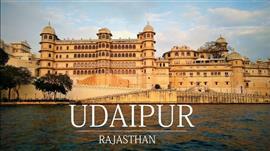 All sightseeing pickup drop and transfer as per given itinerary by cab. daily morning tea in hotel. 2 nights stay in hotel/resort. All toll, Inner Tax, Parking, Driver Allowances etc. included. Organizing corporate conferences and events is a challenging task. That's where the My Fair Holidays team steps in, as we take away the trouble of organizing flawless events for you. Indian destinations like Goa, Kerala, Himachal, Rajasthan, Uttaranchal, parts of North East India and Ladakh are amongst our main focus. We serve thousands of tourists traveling to some of these leading destinations. My Fair Holidays has also come up with innovative products such as Mansarovar Yatra, Goa Casino Packages, Honeymoon packages, fabulously priced holidays to all the places tourists long to go. We provide not just impeccable travel services but an opportunity for you to visit the place of your dreams. Creating a niche in the travel industry, My Fair Holidays is a fast growing team of travel & web professionals. We are hiring aggressively to keep pace with the growing demand of travel in & to India. "My Fair Holidays delivers an amazing travel experience! Overall we were really happy how everything was handled. Knowing someone was physically there on the island to greet and assist us with restaurant and other suggestions shows their dedication and desire to succeed." "Having My Fair Holidays is like having a personal assistant a phone call away. The experience overall was excellent, excellent, excellent. All of the apartments and restaurants recommendations were great. The mobile phones are a great idea." "It was nice to work with someone who was in our age range that had a good idea of what we wanted and comforting to work with an American living in the region. It is not often that you receive the kind of individualized service that My Fair Holidays . " "We had a wonderful experience and My Fair Holidays suggestions were invaluable. Unlike most tours which can be overbearing, using Fair Holidays was a perfect balance between exploring on our own and getting the suggestions we needed." My Fair Holidays offers the best prices on all their services. Whether you buy a complete tour package or just go for an individual service like car rental or hotel bookings. The professional travel operators arrange for every service at the most reasonable rates by pooling the hottest bargains from all over. Getting a tailored package within your specific budget limit is also pretty convenient with the MF deals. Our tour planners precisely plan packages as per clients choices and budgets. We provide comfortable & luxurious accommodation that is equipped with modern facilities. Furthermore, to satisfy our customers to the fullest, we ensure to serve them with client-centric approaches and transparent business polices. Owing to our fair business practices, we have been able to muster capture a wide market across the nation. My Fair Holidays is a one-stop-destination for all your travelling needs. Getting well-planned and discounted travel packages is now just a matter of some clicks. The online access to latest national and international tour deals makes it so easy for anyone to plan a dream holiday any day, anytime. MFH is a professional tour organizer firm with an expert and experienced team that works towards giving you the most amazing experience on the go. My Fair Holidays as the principal Indian tour operator and travel agent provides unparalleled vacation packages that adapt perfectly to the budget traveler and researcher holidays. It is supported by new technology and best customer service with unmatched convenience services 24 x 7 online to facilitate the travelers to book their tours, hotels, flights etc.